Galaxy Stack (by Crescent Moon Games & Retrosaur) is a game about defending your planet(?) star-ship(?) we’re not exactly sure… from a fleet of invading enemies – pretty standard top-down 2D shooter mechanics. 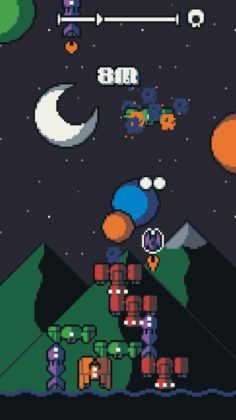 So, in order to spice things up a bit, your pilot in this game decides to see just how massive a stack of destroyed enemy ships he/she can make without getting blown to bits in the process. Sound like a disaster waiting to happen? Congratulations! You’re right! 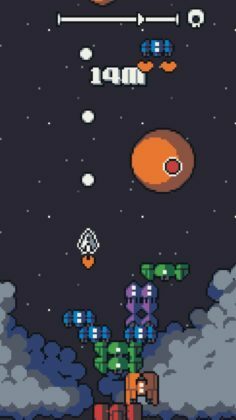 Starting out fairly slow and easy, the game gradually increases in speed, making it harder and harder for you to destroy your enemies in the location needed to land their busted ship on top of your stack. 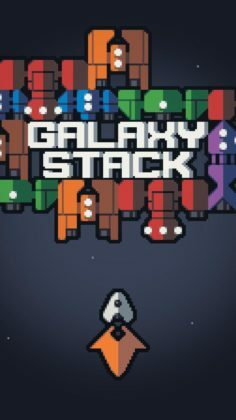 Although there are no penalties for missing your stack, if you mess up, you may get trapped in a situation with bullets all around you and a busted ship falling toward you – so you’ll need a bit of spacial awareness if you don’t want to die right away. With a bunch of different ships for you to unlock, no Ads (since this is a paid game) and a fairly standard control scheme, Galaxy Stack is not only simple and easy to play, it looks really nice thanks to the game’s nicely animated pixel graphics! 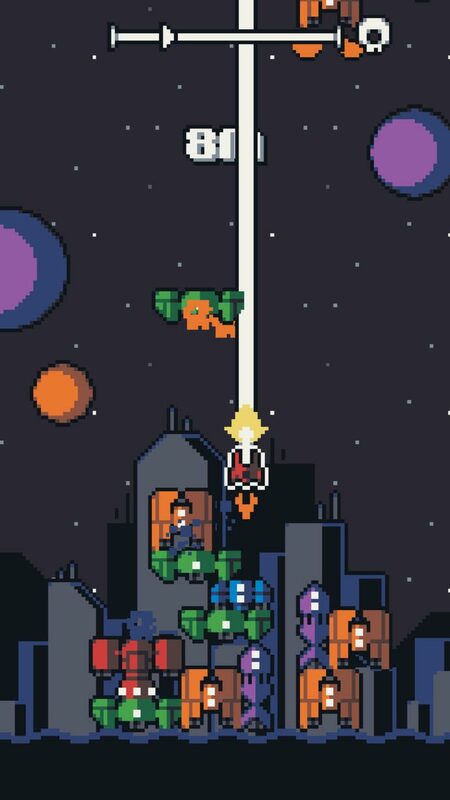 Ever wondered what happens to the rooky space shooter pilots you play – as in old school arcade games – after you help them save the world from an alien invasion? Probably this. 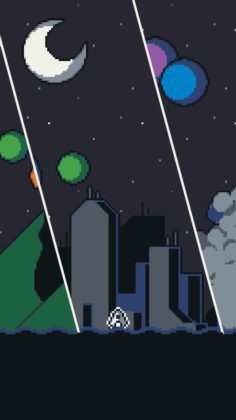 Is it a coincidence that one of the creators is Crescent Moon Games and there seems to be a Crescent Moon in the background of almost every screenshot? That having been said, it is definitely a possibility? It would be fun to ask the developers!